I've always liked Bouncing Bluster, the original shareware version of the game, however it's always had some annoying little niggles. As an Arkanoid clone it has fantastic graphics and a level editor that really gives you incredible control over designing your own levels, enabling you to make the most of using the IIGS's multiple colour palettes for beautifully coloured playfields, with great colour cycling effects to boot. Previously this archive only contained the French version of BB II, but the English version will go a long way to making the game more accessible. 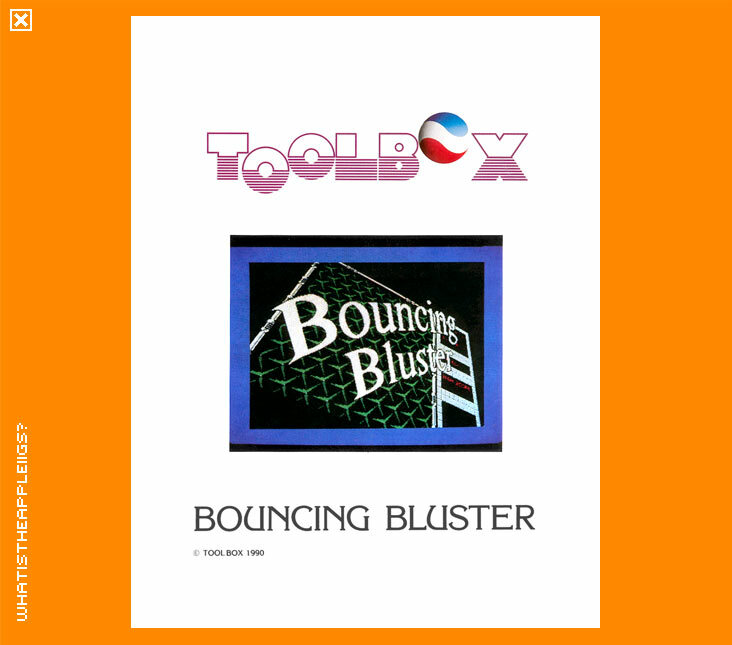 Bouncing Bluster II, despite being able to be run from System 6 (unlike the original, which will only run from System 4), includes other improvements, but strangely, other additions that don't make it as good as the original. For one, the level design is MUCH harder than originally found and the default first level is enough to make even seasoned Arkanoid players like myself through up their arms in frustration. However, I tried copying over the original levels from Bouncing Bluster I, and low and behold, they work perfectly in the sequel! You can create a script that defines the order of the levels, and you can create your own level sets to the amount of challenge you're after. You can find the original levels on the hard drive installed version of BB II on the Games with Path Modifications 32 meg volume. Another complaint I have is that Bouncing Bluster II, despite adding SoundSmith music to intro screens, doesn't have as a good a sound as the original - or so I thought. The original shareware included neat speech synthesis and other Ensoniq generated tones, but the sequel does not. However, play testing through all of the provided levels for BB II, I came across one that sounded absolutely brilliant - incredibly varied sound effects for removing the bricks. So the problem is that for whatever reason, not all the levels designed for BB II took advantage of how you can specify samples with different pitches for EACH brick in a level design, making their removal almost musical. That's a shame, but if any enterprising soul out there who may want to play with the excellent level editor wants to add sounds to all the existing levels (and the ones I introduced from BB I) go for it - this game will be made so much better with more thought given to sound.